Merry Christmas and/or Happy Hanukkah, guys! Hope your holiday season is merry and bright, etc., etc., etc. I’m here to bring you round two of our week of holiday favorites! I, for one, am not a huge Christmas person. I know, I know. I sound like an enormous Grinch, but I actually find it a very stressful time of year. I love the quiet of Christmas Eve, and the excitement of Christmas Day, but the weeks leading up to them are a hectic combination of racking my brain for gift ideas, the mad rush of last minute shopping because I forgot to buy something for one of my (seemingly hundreds) of cousins, and baking eleventy billion pies (actually, I kind of love that part. But shh, don’t tell). The perfect antidote to stress, for me, is a good read. There’s nothing more soothing than curling up with a book and a cup of tea, and losing myself in a much-loved story. Like K, the Harry Potter series is one of my very favorites. And really, they are applicable for me at any time of year–but the weeks between Thanksgiving and Christmas especially make me long for a reread–perhaps it’s just because I wish to wake up Christmas morning to a parcel of Chocolate Frogs and a hand-knit jumper from Mrs. Weasley. I wore the covers off my Anne books as a kid, but Rilla has a special place in my heart. It’s the last book in the series, focused on Anne’s youngest daughter, Rilla as she comes of age during WWI. It’s about growing up, and love, and family–and has one of the swooniest last line of any book ever. EVER. Sigh. I first read a few days before Christmas in 2010, and loved it so much it’s now become embedded in my holiday nostalgia. It makes me smile. And swoon over Etienne St. Clair, the British boy with the French name. And there’s a very cute email exchange during Christmas break in the story, which I suppose officially justifies it being on my holiday favorites list. During a hectic holiday season, I crave the comfort of the familiar. There is nothing like opening a well-loved book and greeting an old friend, and living for a few moments in the bones of who you were when you first discovered those characters. I think books are the single most wonderful thing there are in this world; I can’t think of anything else that transports you body and soul the way they can. What books do you reach for during the holidays? I haven’t read The Polar Express, but I watch the movie every single Christmas Eve. 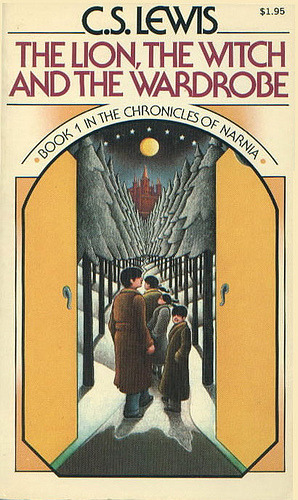 And The Lion, The Witch and The Wardrobe is an all time favorite. EVER. Haha, I hope that means you agree? Ah Harry Potter, you’re right I agree as well! 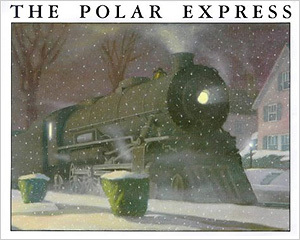 The Polar Express (book) always makes me cry! Me too! And the illustration is amazing. I always think of Harry Potter around the holidays too. :) I’ve been dying for a re-read and it’s always so much harder to resist this time of year! I’m so ashamed to say that I’ve only the read the first Anne of Green Gables… I really need to read the rest of those, the first was brilliant. :) Happy Holidays! Christmas just feels like the time for Harry, doesn’t it? And I do hope you continue with the Anne series eventually. It’s so lovely to be able to follow her coming of age, and then get to see her children grow as well. Such a wonderful series. Perhaps we should have a readalong. Awww, The Lion, Witch and the Wardrobe. WOW I read this book when I was in 5th grade. I remember cause we had a test on it and I was the only kid who read the entire series. I love this book. Love Harry Potter Series. Thanks for the reminder, must go bake..Happy holidays to you. Narnia is brilliant during the winter! Though I like to indulge in my Harry Potter set all year round. 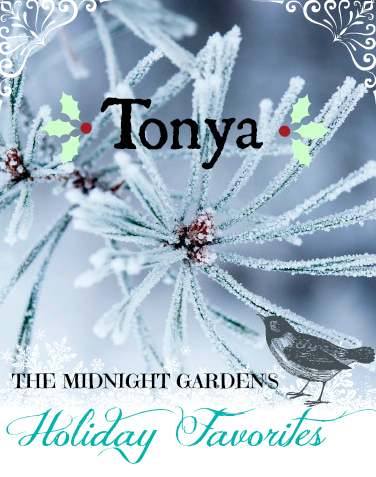 ;) Great list, Tonya! Hope you have a lovely holiday season. Thank you! Have you read any of the Anne series? I really recommend it if you’re ever in the mood for whimsy. It’s such a great story spanning from girlhood to adulthood and beyond. I actually haven’t seen that movie. That style of animation freaks me out a little, I have no idea why! Isn’t the Anne series lovely? Which was your favorite? YES. At least the first one, I can’t remember whether there’s anything more mature that happens in the third book? I don’t think so, though. I love The Golden Compass SO much. There’s a scene at the end that still shakes me to the core.